Try out stories ideas you want to pitch to the media! Learn pre-writing story short-cuts. Evaluate when a photo/caption-but-NO-story might be the best approach. Come meet your colleagues who also write the PR and do the fund raising. Let’s collaborate, not compete! This is a combo lab and networking event for Northeast Kingdom nonprofits. 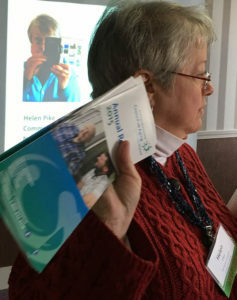 Helen-Chantal Pike Director of Development and Communications for Northeast Kingdom Council on Aging will lead the lab.